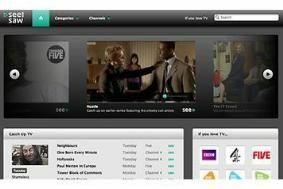 SeeSaw online TV venture saved from closure by US investment firm | What Hi-Fi? A consortium of investors led by US private equity firm Criterion Capital Partners (CCP), and including former Channel 4 chief executive Michael Jackson, has saved online TV service SeeSaw from closure. The deal, estimated to be worth around £10m, sees CCP take a controlling stake in SeeSaw, which was owned by transmission business Arqiva. According to The Guardian, Arqiva retains a 25% stake in the business and a seat on the board, while Michael Jackson has been appointed as chairman of SeeSaw. Online TV service SeeSaw could be sold to US investment firm Criterion Capital Partners, the US investment firm that bought Bebo for a knock-down price last year. According to MediaGuardian, SeeSaw owner Arqiva is close to signing an 11th-hour deal. "Arqiva is still in discussion with various parties about a possible sale of SeeSaw," says a spokesman for Arqiva. Arqiva, the company behind internet TV (IPTV) video-on-demand venture SeeSaw, is looking for an investment partner, and may even consider a complete sale of the operation, according to MediaGuardian. SeeSaw was launched last year after Arqiva took over the assets of the defunct BBC, ITV and Channel 4 Project Kangaroo. It offers more than 3000 hours of catch-up TV programming from BBC Worldwide and Channel 4, plus some ITV programmes from independent producers. Arqiva, which is expected to appoint an advisor in due course, says that all investment options are being looked at "to support SeeSaw's long-term success". Last October Arqiva completed a strategic review of SeeSaw, which employs around 30 staff. As well as investing in SeeSaw, Arqiva also handles TV and radio transmitters for most UK broadcasters and is a partner in the BBC-backed YouView video-on-demand venture.